Friday, September 1, 2017 at 7:30 p.m.
Tickets are $35-$58 and include Fair Gate Admission. 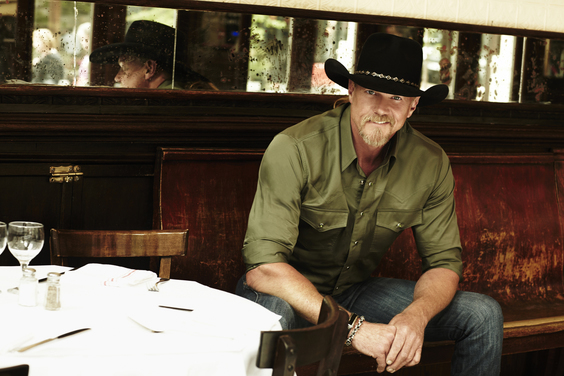 Online presale begins Monday, April 10, at 10 a.m. using promo code "FAIR"
Trace Adkins’ trademark baritone has powered countless hits to the top of the charts and sold over 10 million albums, cumulatively. His hit list includes “You're Gonna Miss This,” “Ladies Love Country Boys,” “Songs About Me,” “Every Light In The House,” “Hillbilly Bone (Blake Shelton & Trace Adkins),” and “Just Fishin’,” to name a few. The Grammy-nominated member of the Grand Ole Opry is a TV personality, actor, author, spokesman for the Wounded Warrior Program and the American Red Cross, for whom he raised over $1.5 million dollars as winner of NBC’s All-Star Celebrity Apprentice. In recent years, Adkins has performed 10 USO Tours. In his 2007 autobiography, “A Personal Stand: Observations and Opinions from a Freethinking Roughneck”, the former oil-rigger recounted his rise to fame, brushes with death, and battles with personal demons. Trace has played a tough as nails biker in “The Lincoln Lawyer”, and a wise oracle of a tattoo artist in the family-friendly film “Moms' Night Out”. He also developed and hosted GAC’s “Great American Heroes” honoring every-day heroes. Trace is beyond excited to announce his 12th studio album, “Something’s Going On”, which was available everywhere on March 31. Click Here to hear his latest single "Watered Down".